WE SPECIALIZE IN LIGHTWEIGHT SHELVING DISPLAYS! SAVE ON ALL LIGHTWEIGHT CUSTOM SHELF DISPLAYS!! CUSTOM SLATWALL DISPLAYS AT AN AFFORDABLE COST!! 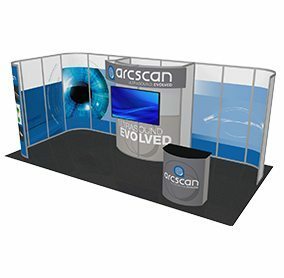 STUNNING CUSTOM TRADE SHOW BOOTHS! STUNNING CUSTOM TRADE SHOW DISPLAYS! We are your one-stop for a custom trade show displays and exhibits. Exhibiting a booth at a trade show or event is multi-faceted. Look for a company that provides not only trade show displays and trade show graphics, but offers a full range of services. From concept to to completion, Infinity Exhibits will custom design your trade show display/exhibit to meet your exact needs. 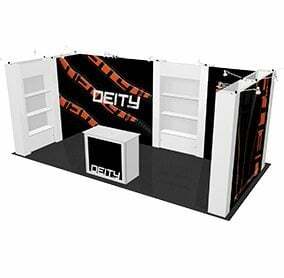 Infinity Exhibits offers a full range of service to assist you with all your trades how needs including display design, fabrication, shipping, I & D, and storage. With our partner I & D companies, Infinity Exhibits can provide quality and affordable Installation and Dismantle services throughout the US. Infinity Exhibits can assist you with all your logistic and shipping needs through our partner shipping companies. 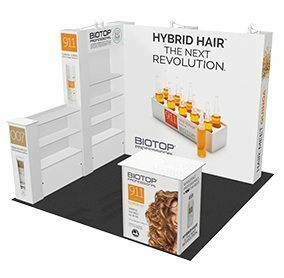 Looking for a unique custom trade show display? Our custom trade show displays set the standard in execution and value. Infinity Exhibits offers large-format printing on a variety of substrates as well as complete graphic design services. Infinity Exhibits offers affordable storage at our Vegas & Sarasota facilities and can also assist with storage in between shows throughout the US. Not committed to purchasing a booth? Our all inclusive rental services include rental of the exhibit, install/dismantle at the show, and shipping to and from the show. 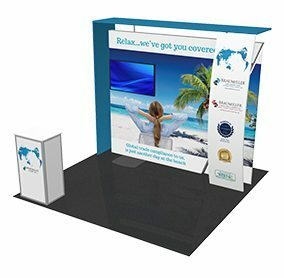 HERE’S WHY YOU’LL LOVE OUR MODULAR & PORTABLE TRADE SHOW DISPLAY SYSTEMS. 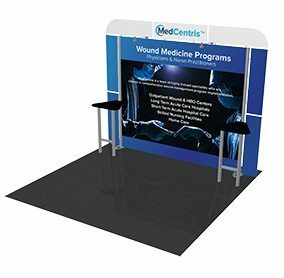 Our Trade show displays are designed using the most cost effective materials that are durable, functional and create a great impression. Our lightweight and compact designs drastically reduce shipping. Capture attendee’s attention with stylish designs, signage, hanging banners and a variety of colors and textures. We use materials that don’t add unnecessary weight to your trade show displays. We also use only what is necessary to fulfill the needs of our clients marketing objectives. 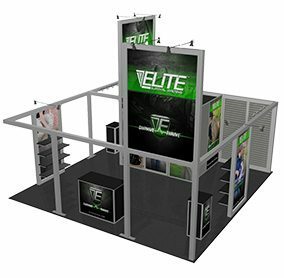 Provide lightweight, affordable, easy-to-assemble trade show displays that stand out from the crowd and help our clients succeed! We’ve been saving our clients money for over 20 years, providing them with trade show display systems that are budget-conscious, yet don’t compromise on presence or style. Our company began with the creation of our InfiniLite Line. It’s a durable, lightweight plastic display system, and if you need a shelf display, it’s the best! Our passion for designing the perfect display is always the same.